For the fourth consecutive year, Tomorrow’s Flooring has been confirmed as official media partner of The Flooring Show. 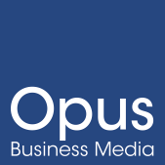 Three leading titles from the Opus Business Media portfolio have been named as official show supporters of the Facilities Show 2014. Opus Business Media is to lend its support to British sailor, Elliot Hanson, in his quest to reach the 2016 Olympic Games in Brazil. Paul Turner has been appointed Account Manager for Tomorrow’s Health & Safety having previously worked across the Opus portfolio.